Man of Steel is the latest reboot of the Superman franchise and the hopeful first movie in the run up to the Justice League. Man of Steel is directed by Zack Snyder and stars Henry Cavill as Clark Kent and Amy Adams as Lois Lane. 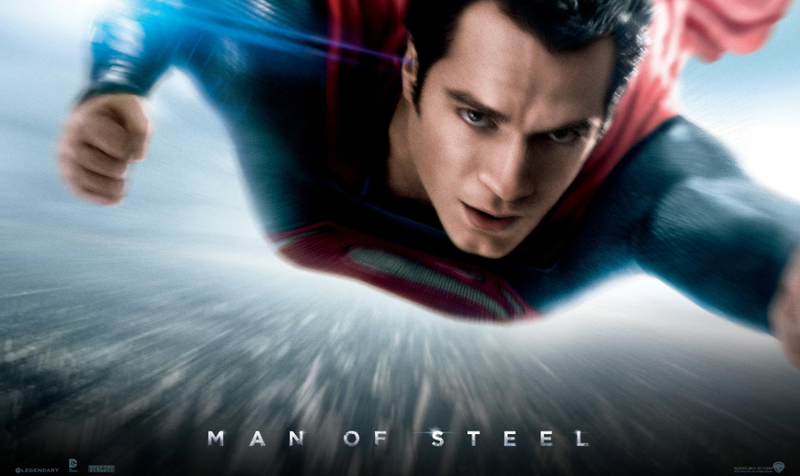 Man of Steel retells the origin of Superman in a more darker and serious tone than the previous films. After the success of The Dark Knight trilogy, Christopher Nolan was on hand as producer to hopefully bring his advice to the movie. Superman is hard to compare to Batman though, Nolan’s trilogy could be made more serious as a character like batman could exist in the real world. Superman and his abilities of flight and super strength is much harder to be given a serious tone. The spandex suit doesn’t really fit in with the direction the movie was going for. That being said, this direction made the film interesting, it was something different than the others. What made The Avengers successful was the comedic undertone and the fact that realism was blended with fantasy very well. Man of Steel tries to replicate the success of The Avengers franchise blending in elements from the success of The Dark Knight trilogy, but doesn’t quite get the mix perfectly. The movie starts off with an impressive scene on Krypton, the visual effects in the movie were really good on the whole, something to compare to The Avengers. From there the first part of the movie is the typical superhero origin story and its an interesting take. As we get to the second half of the movie, the conflict between General Zod and Superman begins. The villain is evil, but he’s no Loki. There is so much action in this movie, when you think you’re at the end of an action scene, it just keeps going. As Superman is basically invincible and so is his enemy, the fighting between them is getting them nowhere. So the audience is subjected to two guys smashing each other about for half an hour with absolutely no consequence to their actions. When you take away the vulnerability, then the fighting becomes meaningless. I’ll compare this to The Dark Knight here but what made Batman interesting was the fact he was vulnerable, he was human. I feel that this caused be to actually get bored of the action, even if the special effects were amazing. The plot itself is the usual, similar to The Avengers in the size of the drama. After entire cities were levelled, I have no idea how DC plan to continue this franchise. There were moments when I felt certain characters were used for convenience. At one point Lois Lane was requested to go on-board General Zod’s ship, but she is never needed and is only there for a convenient plot explanation, the same can be said about Russell Crow’s character: Jor-El. While I’ve mostly picked out what’s wrong with the film, I still enjoyed it. It’s an interesting film to watch and I seem to find any superhero movie automatically appealing. I’m already wanting to see it again. It’s been recently announced that the sequel to Man of Steel will include Batman in it. I’m very curious to how they’re going to pull it off but good luck to them.